Hi girls! It was requested that I do a post on “lead free, eco-friendly, and safe cosmetics” and that’s what I’m going to share with you today! 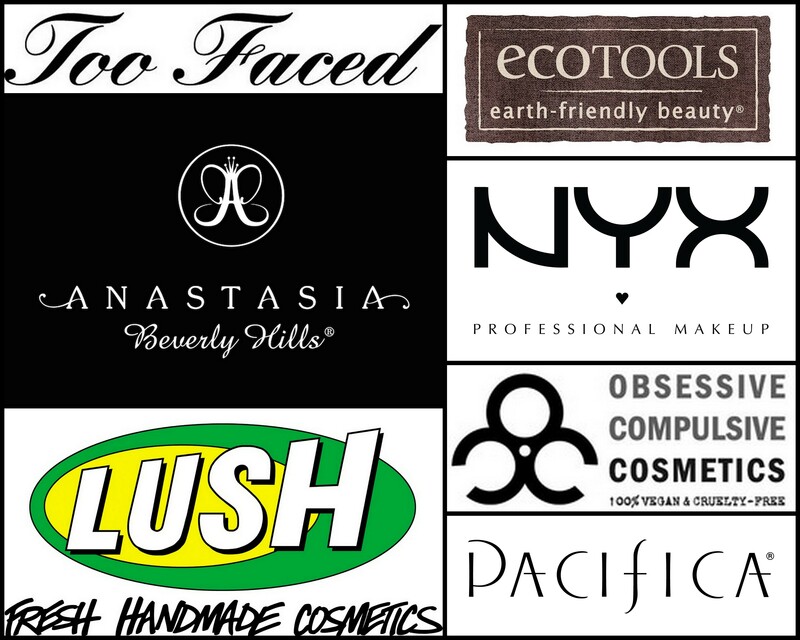 There are a ton of brands out there that are Eco-friendly and cruelty free but I wanted to share with you brands that I know and love. Too Faced: Is an animal-friendly cosmetics company that makes cruelty free cosmetics as well as vegan makeup brushes (this brush set is made of teddy bear hair)! They have a wide list of products that are vegan and made without parabens. I personally love Too Faced bronzers, mascara, and blushes! Anastasia Beverly Hills: This brand has a licensed PETA’s official cruelty-free bunny logo. Anastasia reports on their website that new products are always tested on clients and not animals. I love their brow products and highly recommend them! Lush Cosmetics: Lush “believes in buying ingredients only from companies that do not conduct or commission tests on animals.” Lush makes handmade cosmetics and some of them are even vegan products (see here). To read their full story click here. I personally love their bath bombs, soaps, and body butters. EcoTools– This company strictly makes vegan products. I highly recommend their face brushes- they are incredibly soft! NYX Cosmetics– sells affordable, cruelty-free products and all of their products are FDA approved. I recommend their lip products & eyeliners! Obsessive Compulsive Cosmetics– OCC is both an animal-friendly company and 100% vegan. Their products are entirely natural and safe. Their lip products are insanely pigmented and impressive! Pacifica– makes strictly vegan products. You can find this brand at Target and I suggest checking out their eyeshadow palettes! Dr. Scheller– Products from this brand are vegan, paraben-free, and gluten-free. I personally love the Argan Oil Hand Cream. Dr. Scheller is also part of the Natrue organization where you can find numerous other natural and organic brands. I hope you all decide to try out these brands- they all have a great purpose and story!